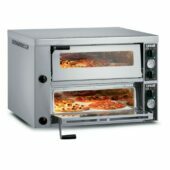 Discover the authentic taste of Italy. 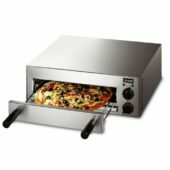 Pizza perfection, pronto! 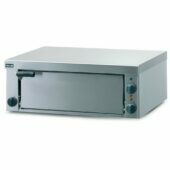 We produce a comprehensive range of pizza ovens that are designed to fit in perfectly in a variety of locations — dependent on your individual needs of course. 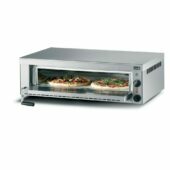 The Lynx grill style pizza oven is great for back bar areas, cafes or snack bars, due to its smaller size. 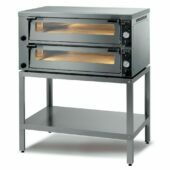 We also have a selection of Standard and Premium Pizza Ovens with a fire brick base for the crisp even cooking of pizza bases with a range of single and twin deck models to choose from according to your specific output needs. 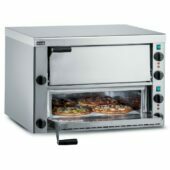 Each of these units are great for the production of that authentic Italian taste. 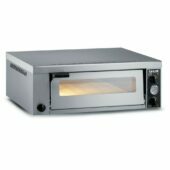 Due to the size of these units, we'd say that these are best suited to fast food outlets, canteens, education facilities, leisure establishments, restaurants and pubs. 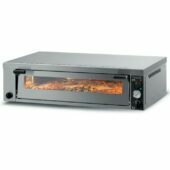 The Premium Pizza Ovens also have internal illumination and glass viewing windows, making them great for front of house applications as a cooking showpiece. 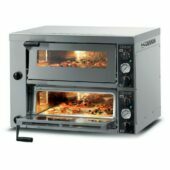 If you're unsure whether these are right for your needs, make sure that you take a look at our Upright heated merchandisers with built in oven. 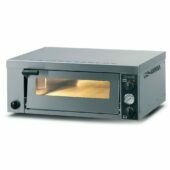 These smaller units are ideal for fulfilling a number of small-scale needs.